From A Brief History of the Samurai, by Jonathan Clements — available now in the UK and in the US. Considering the ubiquity of the ninja in twenty-first-century popular culture, it is remarkable how fast they appear to have sprung out of nowhere in the 1950s and 1960s. At first, they were imagined in black – the default colour of stagehands and puppeteers, whom traditional theatre-goers were supposed to blank from their sight. Ninja were proletarian heroes, peasants and underlings in the interstices of times past, literally invisible from a military history that had been dominated by the samurai. However, despite the claims of ninja apologists, it is difficult to find any concrete discussion of them long before the novels of Yamada Futaro (1922–2001) and the comics of Shirato Sanpei (b.1932). Any attempts to make a scholarly study of ninja lead down a series of false trails, with modern sources that end up only citing each other, and credulous populist works that claim any reference in an old account to shinobi (stealth, spies, assassins) was in fact a reference to one of several secret ninja societies that stayed in the shadows. This fad achieved global recognition with the appearance of ninja in the James Bond film You Only Live Twice (1967) – reaching, by nature of its genre and franchise, a far wider audience than any more reasoned, less fantastic account of Japanese martial traditions. As colour television took hold in Japan, ninja gained more garish colours, as well as a conveniently rediscovered martial art. The TV series Ninja Butai Gekko (1964, released abroad as Phantom Agents) gave them superhuman abilities born from simple camera trickery, and gadgets inspired by James Bond and Cold War espionage. Although ninja were found in some 1960s entertainments for adults, their most enduring legacy has always been in the children’s medium, where every generation seems to have a ninja series to imitate in the playground and the park – Ninja the Wonderboy (1964), Legend of Kamui (1969), Battle of the Planets (1972), Hattori the Ninja (1981), Red Shadow (1987), or Naruto (2002). 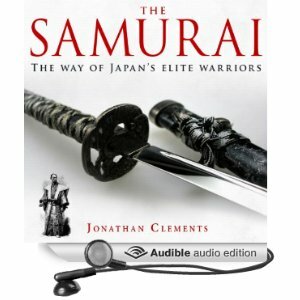 A Brief History of the Samurai, by Jonathan Clements is available now in the UK and US.